We in IFWG Publishing have been waiting in anticipation for the release of the sequel to Larry Ivkovich’s The Sixth Precept. The end is now in sight with Warriors of the Light, book 2 of the Spirit Winds Quartet, due for release on the 24th May 2016. In the meantime, we would love to share the cover (including the full wrap), for your viewing pleasure. The cover art and design is by Elizabeth Lang – great work as usual! Advance Review Copies will soon be available for select reviewers. 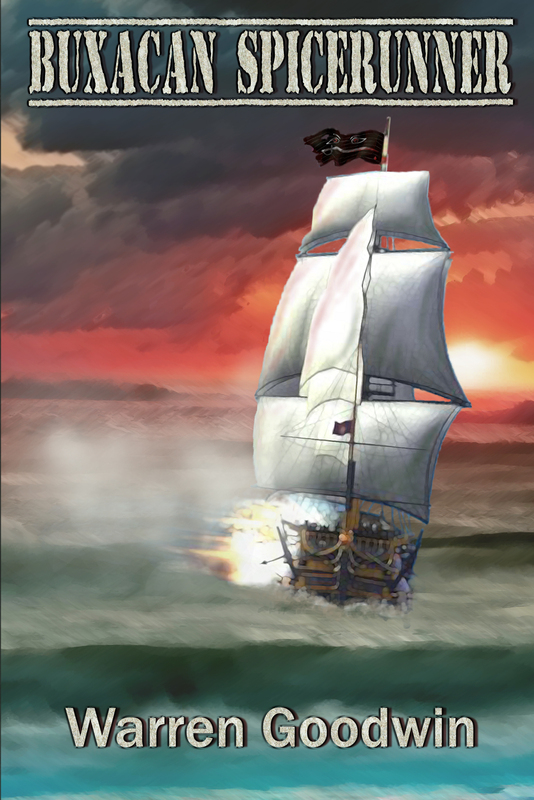 IFWG is extremely pleased with the release of Buxan Spicerunner, by debut author, Warren Goodwin This is everything you ever wanted in a classic swashbuckling pirate tale, set in a unique fantasy world, reminiscent of the golden age of sail and fighting ships. We also look forward to publishing its sequel, Port Buxaca, late in 2015.